Facebook launched Messenger Lite, a streamlined version of its messaging service for people on slower connections, about nine months ago. It’s since become available in more than 100 countries, and has just arrived in India today. 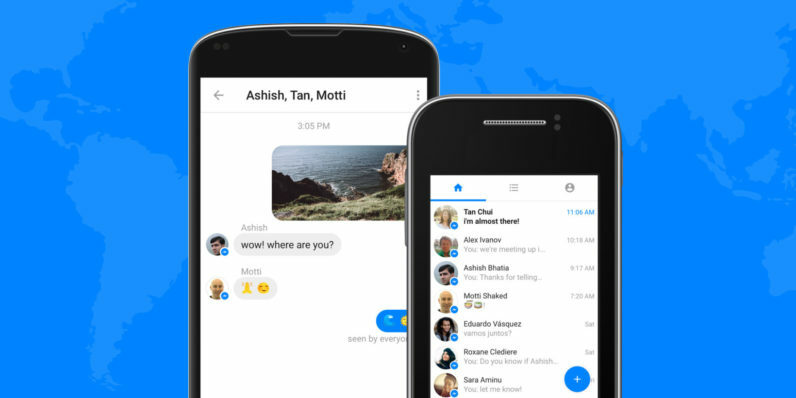 It’s basically Messenger without a bunch of (mostly) unnecessary bells and whistles. For folks who are low on storage space and RAM, it’s a great choice. You’ll lose out on voice and video calling, and the ability to send GIFs (boo), as well as some useless bloat like Messenger Day (aka Stories), bots and games (yay). That seems like a small price to pay for massive savings on space: Lite takes up just 17MB, less than a tenth of what Messenger requires on your phone. You should also find more than 100MB of RAM freed up when you make the switch. In the event that Messenger Lite isn’t available in your country from Google Play, you can still find the installer on APKMirror.com to sideload.